Isotope testing of pork and pork products for their origin is being stepped up by AHDB Pork from once a quarter to monthly. The testing uses SIRA (Stable Isotope Reference Analysis), an isotope technology which compares retail and processed pork and pork products against a library of pork samples from known locations built up over a number of years. Analysing the ratios of the four main stable isotopes contained in pork means the probability of the sample coming from the UK can be determined. AHDB Pork strategy director Mick Sloyan said: “The focus to date has been on fresh pork in supermarkets. Last year, we extended it to bacon and pork used as a raw material in sausages and ham. The SIRA testing is used to enhance traceability and assurance and has been in use for the last two years, though the development work goes back six years. The SIRA technique is based on the concept that the ratio of four stable isotopes found in protein and water will differ depending on where the pig was born and reared. 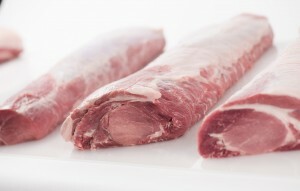 Reference samples of pork, bacon and ham of known origin were used to assemble a database against which samples of unknown origin can be checked. 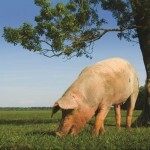 For more information on AHDB Pork and its current work, visit www.pork.ahdb.org.uk.